Over 400 billion Cups of Coffee are consumed annually around the globe, creating a staggering amount of waste for landfill and harmful CO2 Emissions. 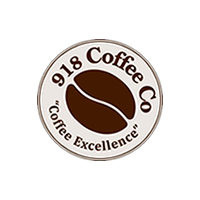 The 918 Coffee Co. take pride in their active commitment to the social and environmental impacts of the coffee industry. They are proud members of the Fairtrade Foundation, Rainforest Alliance, UTZ, The Green Earth Appeal as well as being Green Earth Ambassadors.